Relationships are often where darkness enters into our reality. This darkness will be replaced by the light of love if we are open to learning the lessons these relationships offer us. It is within these relationships we are confronted with our weaknesses and where we are encouraged to grow. 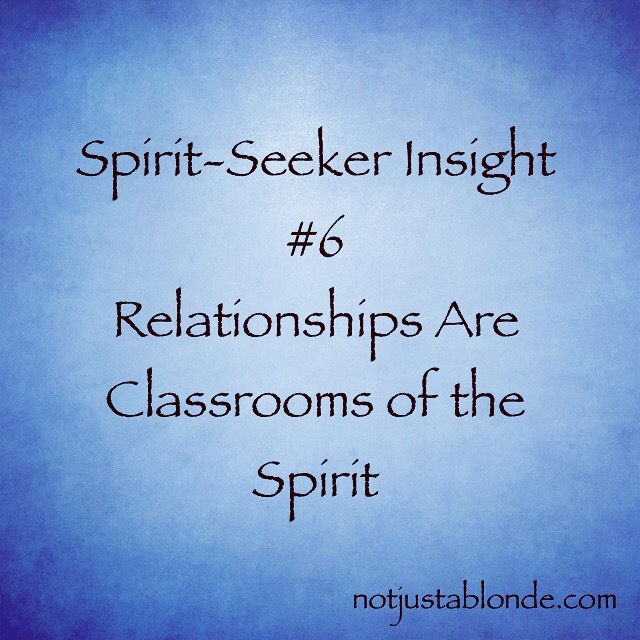 Relationships are the greatest classrooms of the Holy Spirit. It is here we are the most challenged and are taught some of the most important lessons of this life. When we realize this truth we can begin to welcome conflict and its ability to illuminate our path towards growth and love. Learning to love in a pure and spiritually authentic way is the gift of being open to God’s directional influence within our relationships with each other. Let this truth resonate in our hearts as we discover what lessons God wants for us to learn! Yes these lessons often in the relationships that we hold the most dear! God loves each of us so very much! We can rest in knowing these lessons will always be for our better good. Amen. Ann, it is possible to see how much you are growing through your relationship with God. This is one relationship that is often overlooked, as we tend to focus more on people. Yes, we learn much from our relationships with other people, but God often shows us much more through those very same relationships when we have a closer relationship with Her.